Calvert Elementary – We are a… Community Achieving Learning by Valuing Effort Respect and Teamwork. We Are Calvert! We are a… Community Achieving Learning by Valuing Effort Respect and Teamwork. We Are Calvert! Calvert School is a K-5 school serving 348 students living in the neighborhood near College View. In 1929 the town of College View joined Lincoln, and College View School became part of the Lincoln Public Schools. In 1939 College View School had two separate buildings. The North Wing was added and became the elementary school and the South Wing was the high school. In 1955, the two buildings were connected by a breezeway when the high school students moved to the new Lincoln Southeast High School building. College View Elementary was renamed Calvert Elementary School for its close proximity to Calvert Street in 1958. 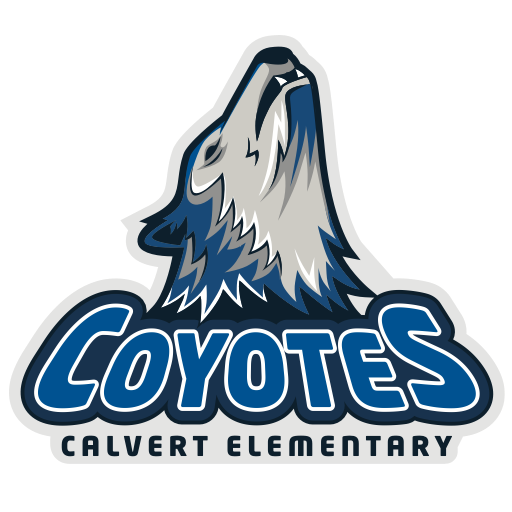 Calvert is the home of the “Calvert Coyotes.” Our mission: “Create a safe and caring place where we all grow and learn together.” The caring staff at Calvert is committed to our students, their families, and the community. Our main concern at Calvert is student learning. To guarantee every child’s success the staff works together in collaborative teams along with administration. Our focus on collaboration maximizes learning for every child. We also believe that partnering with parents is essential. When parents and the school work together student success and achievement increase. At Calvert, we provide a safe and productive learning environment which respects and honors individual diversity. Through Behavior Intervention Support Team (BIST) we teach students our two guiding behavioral principles: it is never okay to be hurtful; and it is never okay to be disruptive. We are committed to meeting the needs of all students, while maintaining high levels of expectations. Calvert Elementary is a Title 1 school. Our school includes kindergarten through fifth grades along with two Early Childhood Preschool classes for children ages 3 and 4. Early Childhood, Academic Support, English Language Learner, and Special Education programs also serve many students at Calvert School. The specialist team includes creative expressions (art/technology), music, physical education, and library media. It is my privilege to be the principal at Calvert Elementary School. Please take a few minutes to look at our website so you can learn more about our school and upcoming events. We look forward to working with you throughout the school year. Keep up-to-date with what's happening at Calvert Elementary School!